Great value starter kit gift pack of 4 products to nurture and care for normal skin. 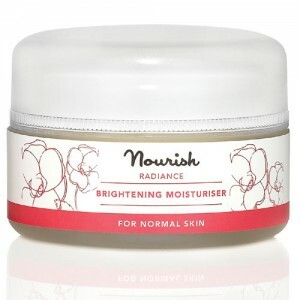 Everything you need to get started with the Nourish Radiance range for normal skin, in substantial trial sizes that contain plenty for a holiday or to give the range a thorough try before you commit to the full sizes. 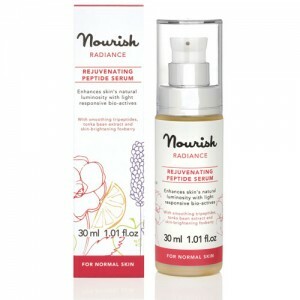 A gentle cream cleanser to remove make up and daily pollutants. Aqua (water), Aloe barbadensis (aloe vera) leaf juice powder*, Arctostaphylos uva ursi (foxberry) leaf powder, Sodium levulinate, Levulinic acid, Glycerin**, Potassium sorbate, Rosa damascena (rose absolute) flower extract, Cetearyl glucoside, Citronellol, Eugenol, Farnesol, Geraniol, Linalool. *Certified organic. **Organic origin. Naturally present in essential oils. Aqua (water), Arctostaphylos uva ursi extract*, Aloe barbadensis leaf juice powder*, Palmitoyl Tripeptide-5, Glycerin**, Lactobacillus/Dipteryx odorata seed ferment filtrate, Leuconostoc/Radish root ferment filtrate, Xanthan gum, Sodium levulinate, Levulinic acid, Sodium hyaluronate, Potassium sorbate, Rosa damascena flower extract, Citronellol, Eugenol, Farnesol, Geraniol, Linalool *Organic. **Organic origin. 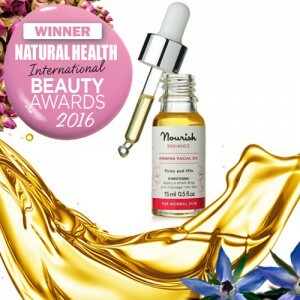 Naturally present in essential oils.